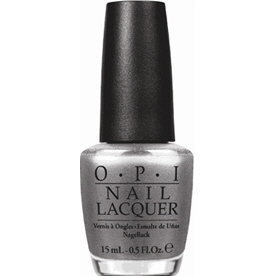 OPI Nail Polish, Haven't The Foggiest, NLF55, .50 fl. oz. Medium metallic pewter-toned silver nail color with a foil finish.